The XL Catlin Junior Caribbean Cycling Championships came to an end today [Aug 12] with another excellent showing by local cyclists in the Road Race portion, with Bermuda once again winning all three categories. Matthew Oliveira won the Junior 17/18 race, Nicholas Narraway claimed the Juvenile 15/16 title, while Alyssa Rowse won the Junior Women’s race. Bermuda also claimed two other podium finishes, with Ziani Burgesson placing 3rd in the Juvenile 15/16 Division, while Kaden Hopkins finished 3rd in the Junior 17/18 Division. 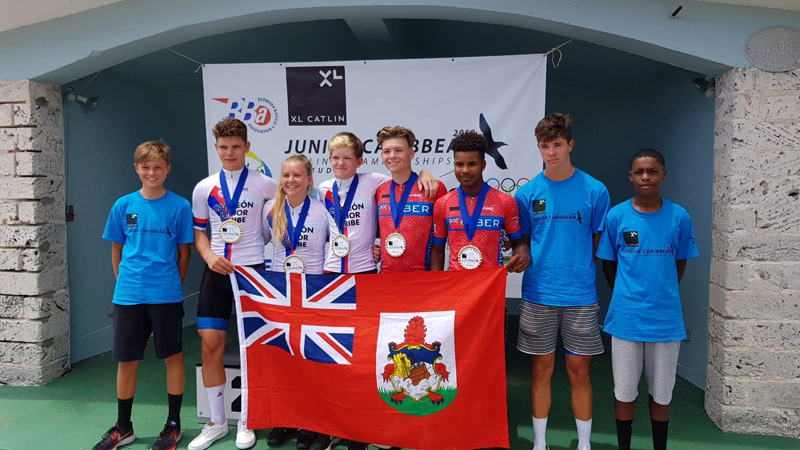 “What an amazing two days of competition for our juniors, having such great success amongst the best of our region,” President of Bermuda Bicycle Association Peter Dunne said. This excellent showing by the island’s cyclists today follows after their stellar performance yesterday, which also saw Bermuda dominate the top podium spots at the Individual Time Trial.